17 times. That little nugget stayed with me after I read it: I go to a restaurant, eat there, take pictures, and write about it. I rarely go back. 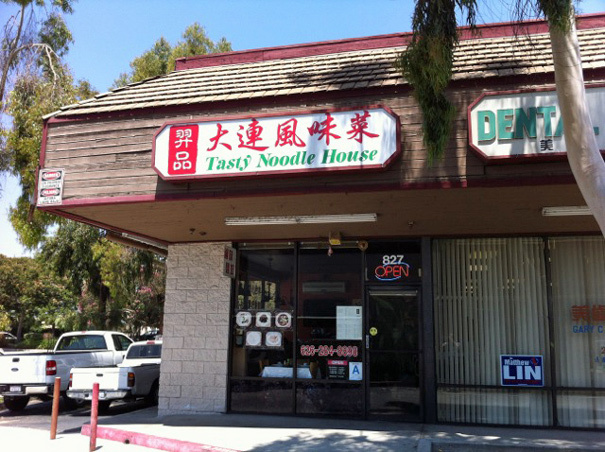 So last week, I decided to Goldify myself: I made the pilgrimage to the San Gabriel valley, home of some of the nation’s most authentic Chinese food, to eat at Tasty Noodle House. And the next day I went back to eat there again. Part of my motivation was the Gold interview, but the other part of my motivation was the book I’m currently reading: Fuschia Dunlop’s “Shark’s Fin & Sichuan Pepper.” It’s a wonderfully insightful book about living in China and falling in love with the cuisine. Dunlop’s descriptions are so rich and vivid, I’ve been craving really good Chinese food from the moment I flipped the first page. 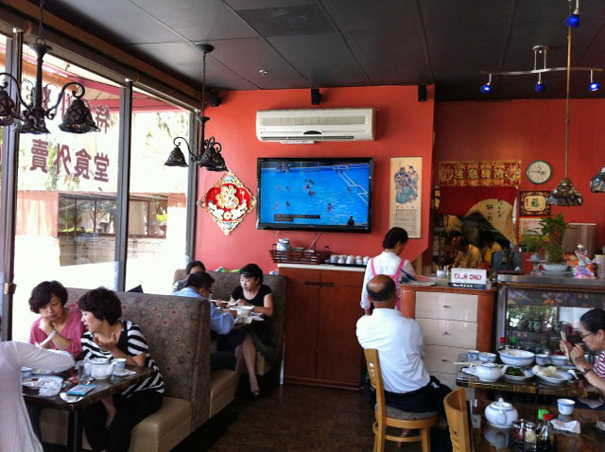 And really good Chinese food is what I got in the San Gabriel Valley at Tasty Noodle House. Mixed together, this was a dream come true on a hot day. Each component was perfectly executed (look at the knife work on that cucumber, look at the texture of those noodles) and I gobbled it up, trying to save room for the other thing I ordered: a plate of pork buns. Obnoxious food writers sometimes talk about “food made with love.” I’ve been guilty of it. 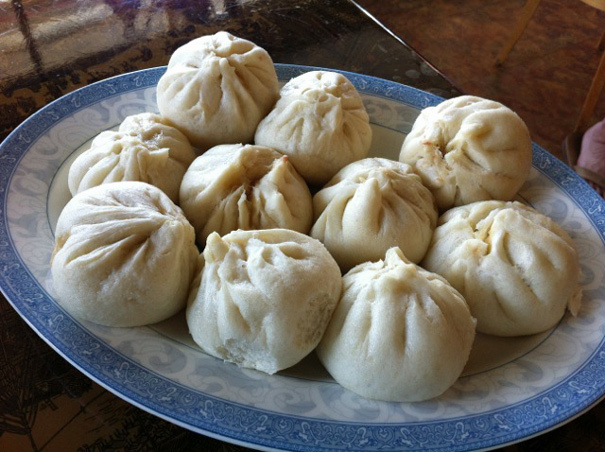 But these pork buns were precisely that: each little packet was made carefully, thoughtfully, expertly. 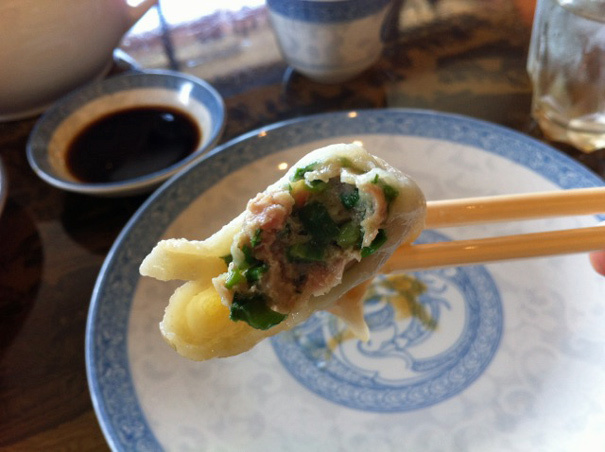 You bite in and get an immediate squirt of pork jus, then a bite of the pork filling, all wrapped up in that chewy, hand-made dough that you dip into a mixture of soy sauce and vinegar. Eating this food, I was most taken with how clean-tasting and non-greasy it was. This was the total opposite of the shopping mall Chinese food I ate growing up; this was Chinese food that justifies the claim that China has one of the world’s great cuisines. That was Day One. Now on to Day Two. Honestly, I didn’t really know what I’d ordered; I thought it might be a wet kind of tofu with some sauce on top of it. Instead, these were firm strips stir-fried with an earthy sauce and some greens. 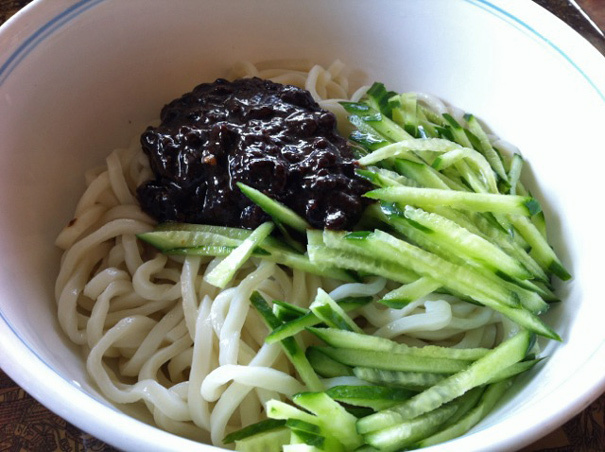 It’s a great lunch because it’s filling the way noodles are filling, but way more protein-rich. I’m not going to lie: it was hard to stop eating these. With the pork buns, I took home half; with the dumplings, I’m scared to tell you how many I ate. I ate a lot. Heads turned. News crews shot video. Helicopters passed overhead. That’s my reward, though, for going twice to such a notable place as the Tasty Noodle House in the San Gabriel Valley. 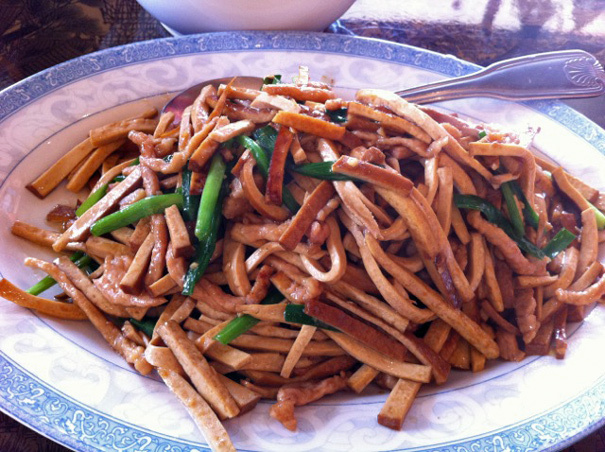 It was revelatory Chinese food; a way better experience than the one we had Shanghai No. 1 Seafood Village. The precedent now set, I’m excited to continue this trend of visiting and then re-visiting a new dining destination. Next up: something with heat. I’m thinking Sichuanese or Hunanese. I’m thinking I may bring friends so I don’t have another dumpling incident. 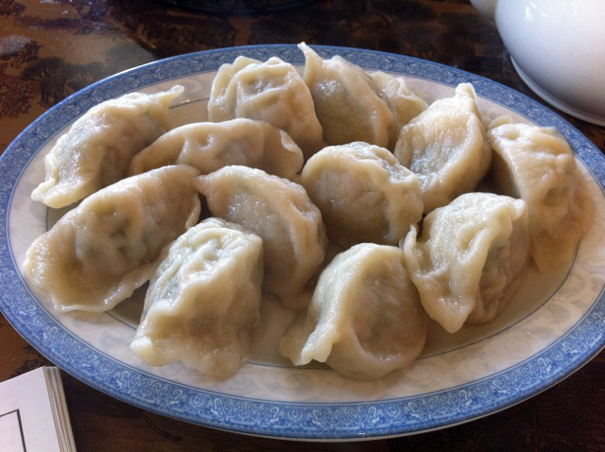 But, damn, those dumplings were good.